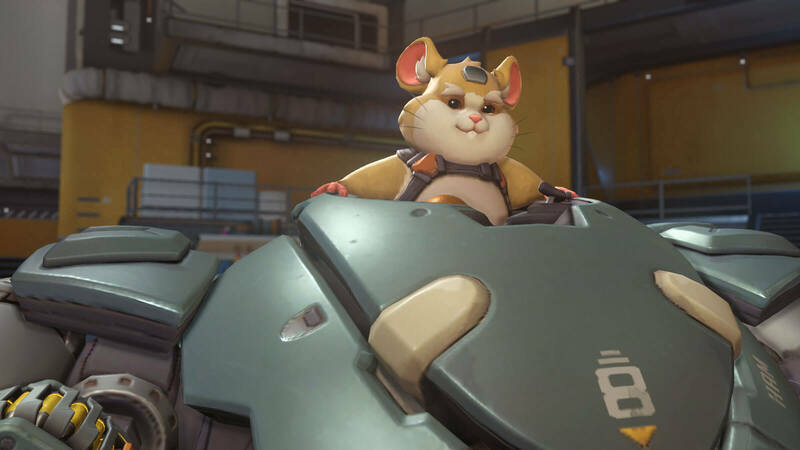 Overwatch has announced it’s newest character to be joining the fray, and I cannot wait to play him; hero 28 will be Hammond a.k.a Wrecking Ball. We’re told Hammond is from the Lunar colony like Winston, and escaped by hitching a ride with the gorilla when things got hairy. (No? Too punny? I toadally agree, this is hawkward. I’ll get otter here.) However, due to some technical difficulties, Hammond did not land at Watchpoint: Gibraltar; instead, he found himself near Junkertown, the former base of operations for my favorite Overwatch hero Junkrat. Hammond used his extremely heightened level of intelligence, and all the junk laying about, to customize his escape pod into a mech suit that is sure to leave destruction in its wake. Apparently, this mech will be Hammond’s means of communication, as, it is pointed out, a talking hamster would be ridiculous! Wrecking Ball will be a tank and comes with a myriad of moves meant to be “disruptive” and devastating to the opposing team. One of the most interesting features of Hammond’s mech, in my opinion, is a grappling hook that will be available while in “ball-mode.” This hook will enable him to grab onto surrounding buildings and swing around the map, which sounds very Spider-Man to me. 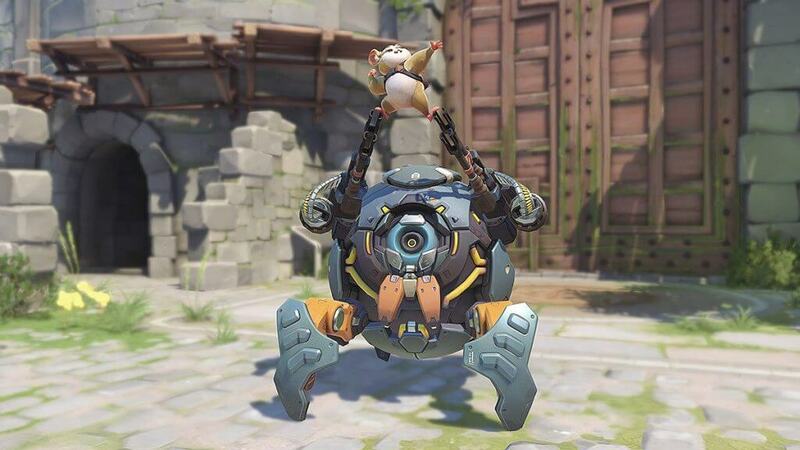 I’m sure I’ll be one of those players unable to hold back from singing “I came in like a wrecking ball” when playing this adorable new tank. Hammond is playable on the Overwatch PTR right now, so I’m going to wrap this up and grab my controller! What is your favorite Overwatch hero? Are you excited about Wrecking Ball or do you think he’s too goofy? Let’s talk skill-set pros and cons! As always, keep it tuned to Geeks + Gamers for all your gaming news and cute furry rodents of mayhem.